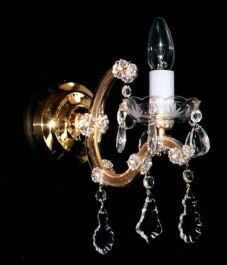 Theresian Wall sconces have their characteristic shape of lyre. Steel arms are manually shaped and cultivated with golden metal. 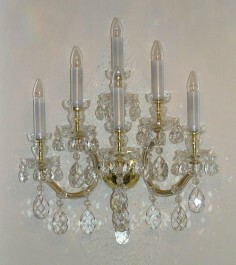 Further the arms are on both sides fitted with crystal ledges, which are manually bended above a burner. 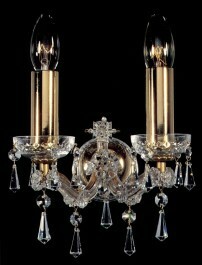 Metal surface of these lamps can be galvanically processed by using 24K Gold, Nickel, Silver and the like. 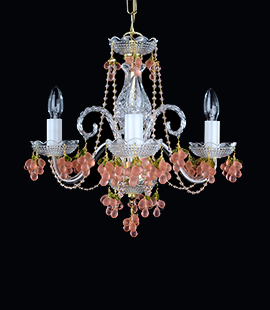 These representative crystal fixtures have their identical appearance for more than 180 years and they will always belong to products of the best quality and representativeness, which you can take to put in your apartment or for decorating your house's interior. 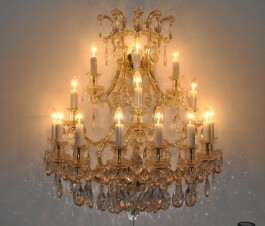 Only the candles have been replaced for electric bulbs. 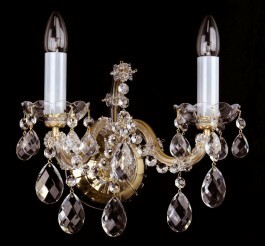 Wall lights of Maria Theresa have their characteristic shape of lyre. Steel arms are manually shaped and cultivated with golden brass. 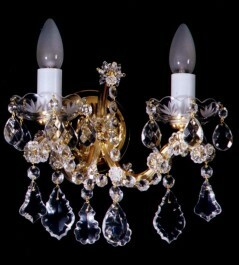 Metal arms are on both sides fitted with crystal ledges, which are manually bended above a burner. 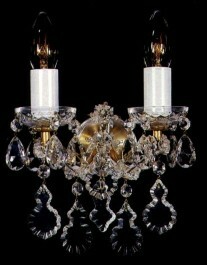 As a part of fixtures for sale, we also offer Theresian candelabras, unique floor and table lamps.